Krav Maga Tactical Beach Training - Self defense training on the beach and water. Join us for a Krav Maga based workout at San Francisco’s Ocean Beach on Sunday June 23rd, 2019 at 9:00 am sharp. While no prior Krav Maga experience is needed, you will be tested by Krav Maga Instructors Edwin (Worst Case Scenario) Diaz, Wade (Timebomb) Pitts. This event will involve training in techniques of Krav Maga, exercising on and in the sand/water, and team based challenges. It will be strenuous, possibly cold, and definitely wet and sandy. Plan accordingly! Clothes: Wear wicking fabrics and avoid cotton. Food: Bring your own liquids and food. Be sure they are easy to eat. Don’t experiment with new foods/supplements for this training. Hygiene: There will be limited access to restrooms due to the location. Bonus: There will be hot coffee and donuts provided for anyone who wants to quit during training. While I had been actively looking at a martial art to get involved in, I first heard of Krav Maga from the Discovery Channel series ‘Human Weapon.’ More than any of the martial arts they covered, they described Krav Maga as intense! I passed by the Krav Maga studio daily and finally gave it a try. I was hooked. 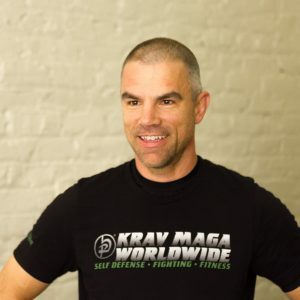 As an active triathlete, Krav Maga resonated with me, combining a great work out and education. 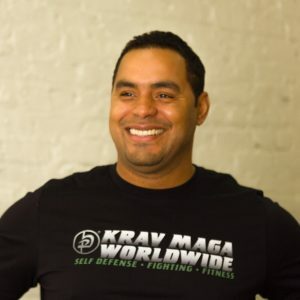 Edwin first heard about Krav Maga San Francisco when he moved from New York to California in 2010. He was looking for a place to train martial arts and found KMSF. He attended a free-trial class and signed up the same day. Edwin has trained Krav Maga for seven years and became an instructor, purely because he enjoys teaching and coaching students.